WebMinds, Inc. is a company specializing in desktop application development, and Internet services. WebMinds is active on the Mac and PC market with their applications and services. 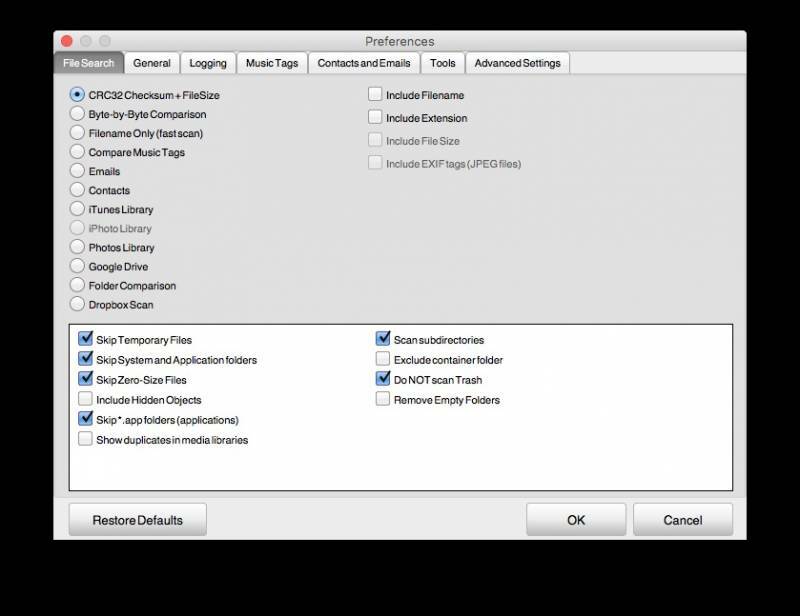 create lots of duplicate files just by editing your pictures, use your music in applications and create your video’s. As a true photograph adept I ended up with approx. 40% of duplicate files ( most pictures ), this doesn’t mean that they are all waste, but kept in different places for use. 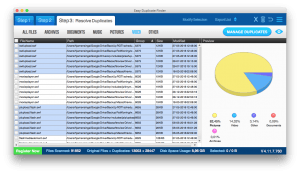 Like all Duplicate Finders the app uses CRC32 Checksum + File-size and search algorithms in order to determine which is duplicate or not. Installation and setup is easy and effortless. 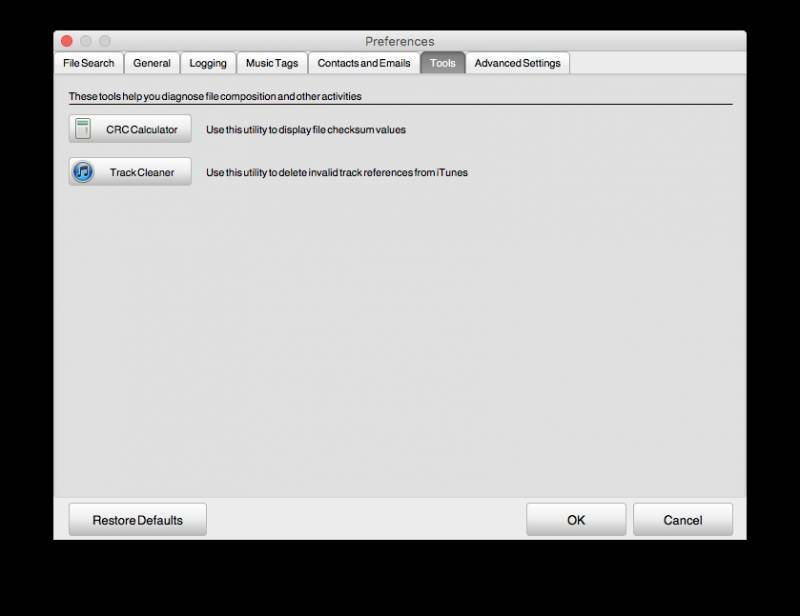 Preferences offers an unequalled number of options. Really impressive, most options i’ve come across for now. 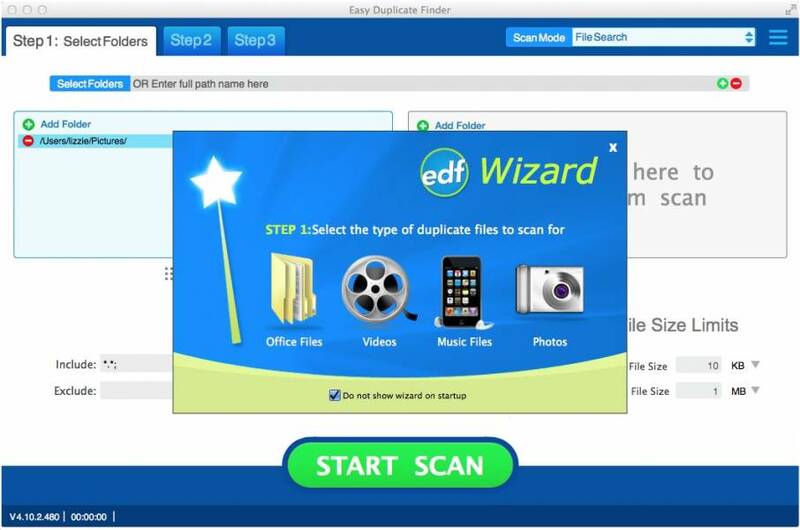 Selection of folders to be scanned is done with drag&drop or Finder selection. 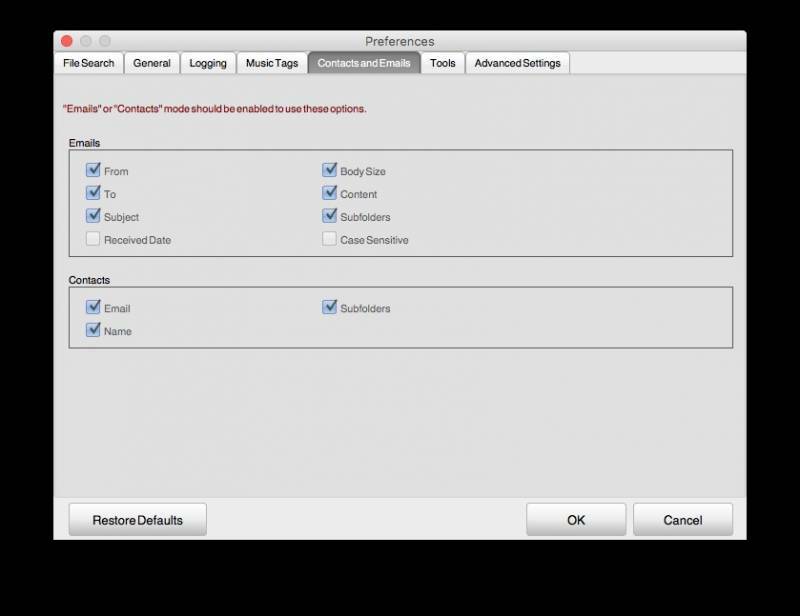 Select which folders to leave out of the process ( last pref. page ) and you’re ready to scan. 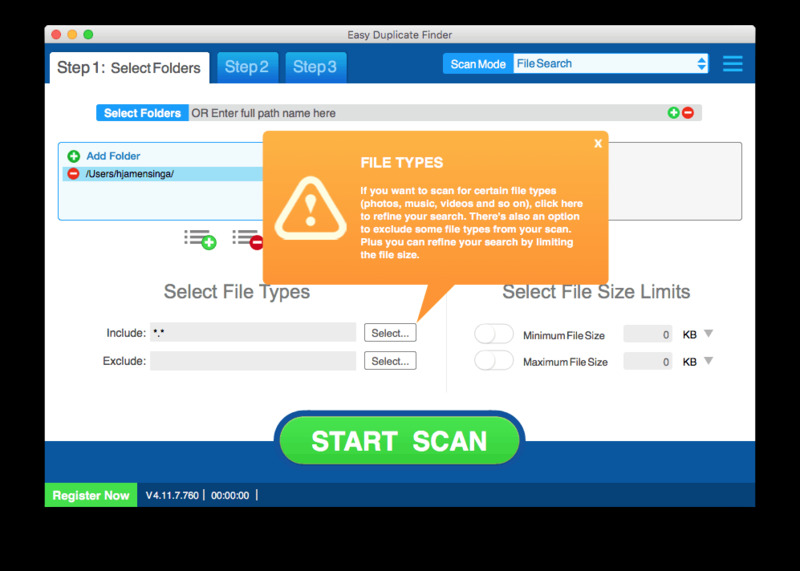 Folder Comparison scan mode, which allows you to select a source and target folders, and compares files in target folders against the files in the source folder. This option is great for comparing external drives with folders on the Mac, checking backups against originals, etc. EDF works really well. There is however a delay in the ‘progress’ animation when scanning. 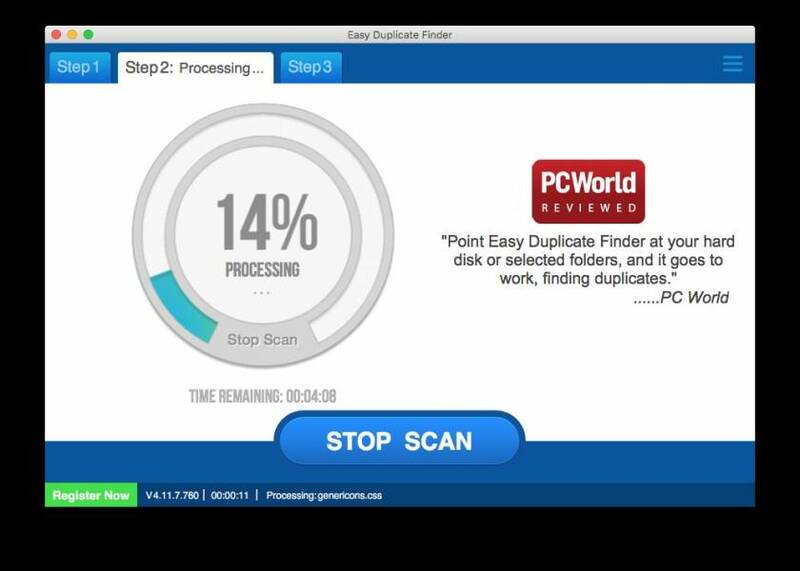 This is just an animation of the scan progress, and has no impact on the performance or results. It is fast especially if you perform more scans. I guess it is using internal logging of some kind, storing information. 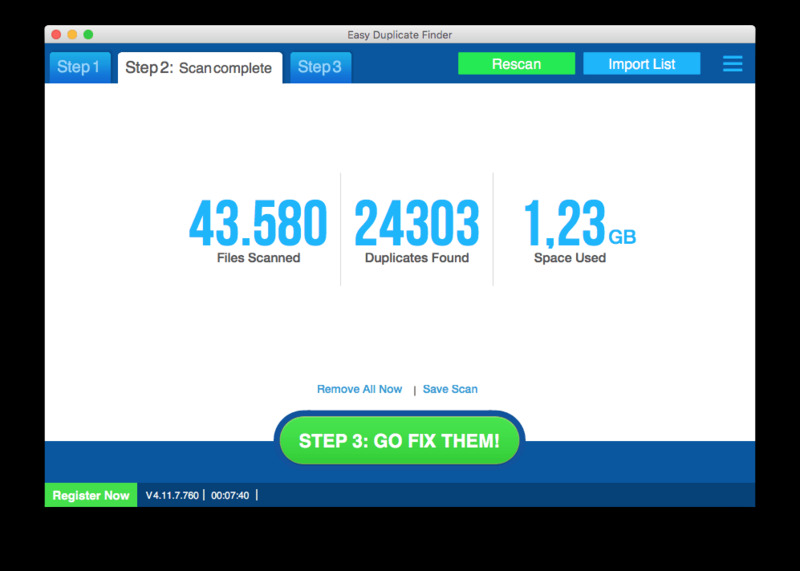 The full scan results are compatible with other third party applications. 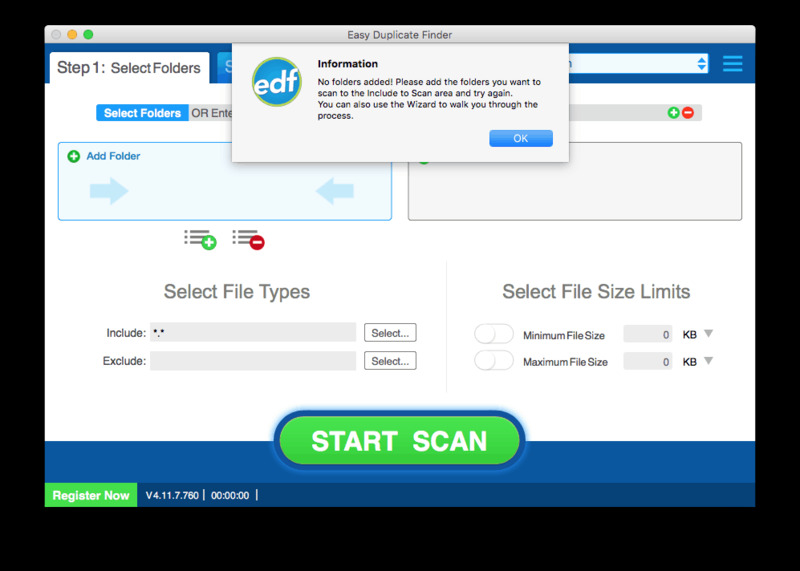 EDF however does offer the ability to scan only preset filetypes. 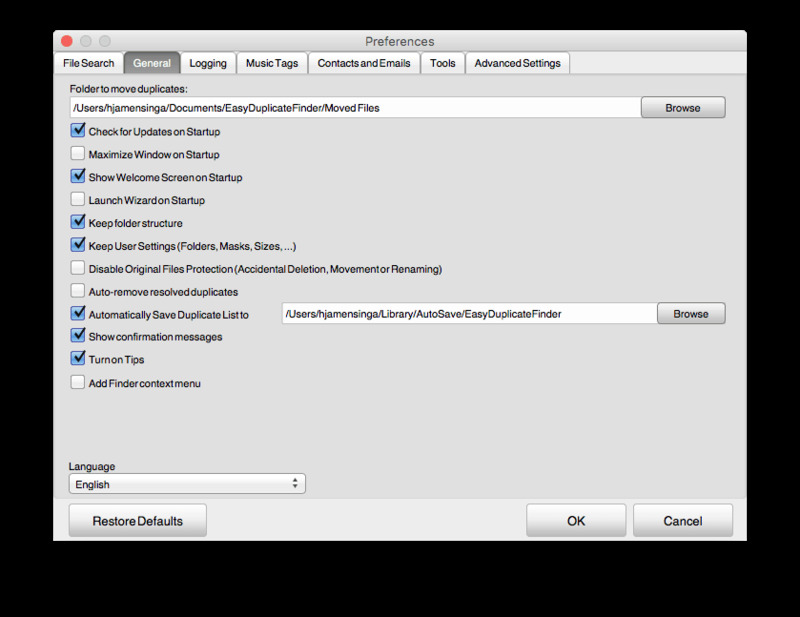 This is a feature not common found in other applications. These figures show, that different scan approaches show different results. EDF has preset scans in its ‘menu’. 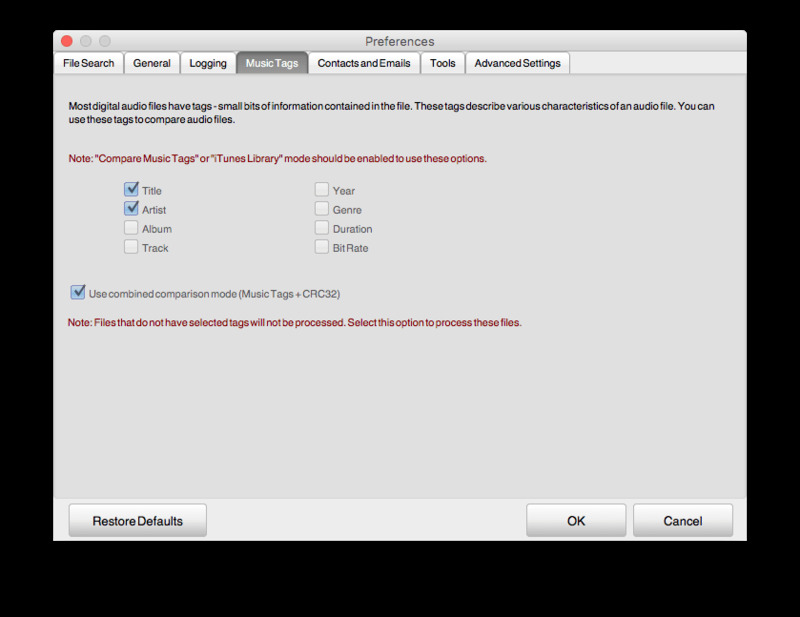 Using PHOTOS scan has different results to the basic drag&drop library in its interface. 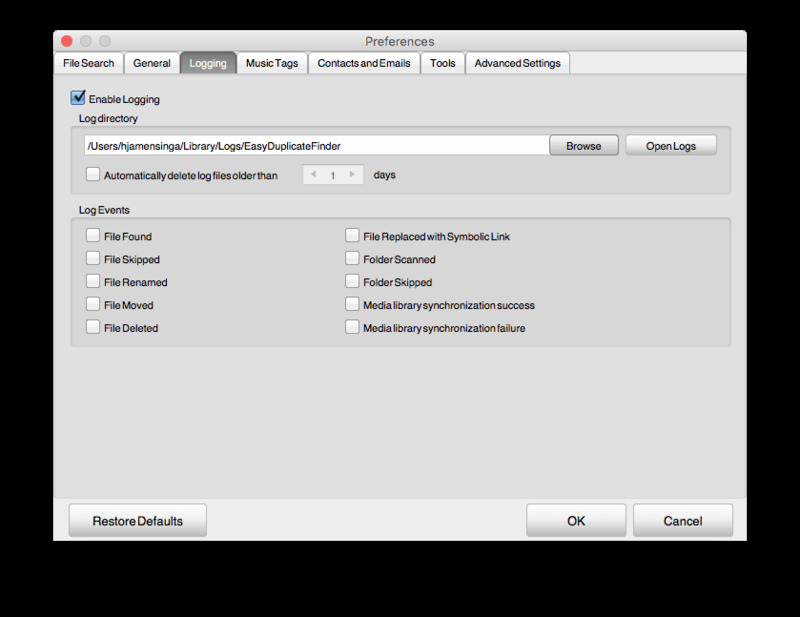 selected files or folder for other purposes. So don’t just hit the button and clear out your harddisk.! This is the part when a great user interface comes in. 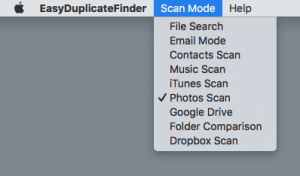 The scan results need to be sorted in file types which makes them easier to select, ignore. 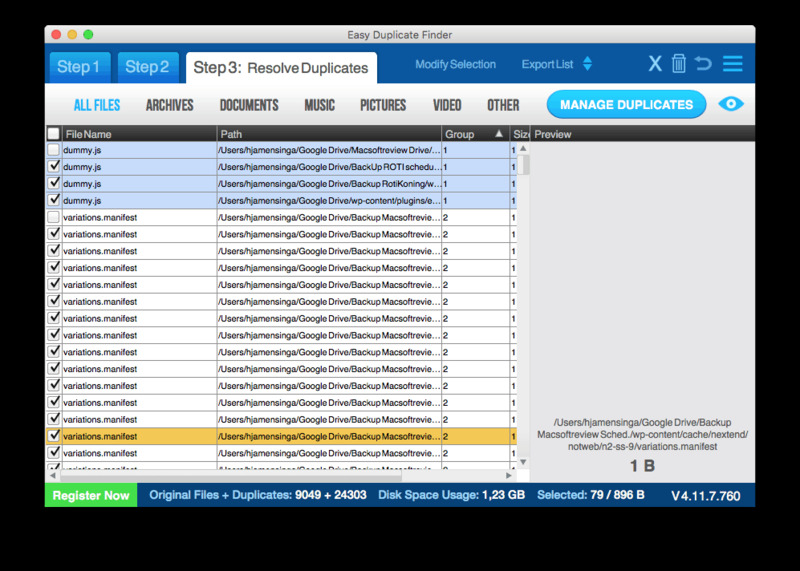 EDF sorts out all found duplicates and shows them in the interface ( below ). 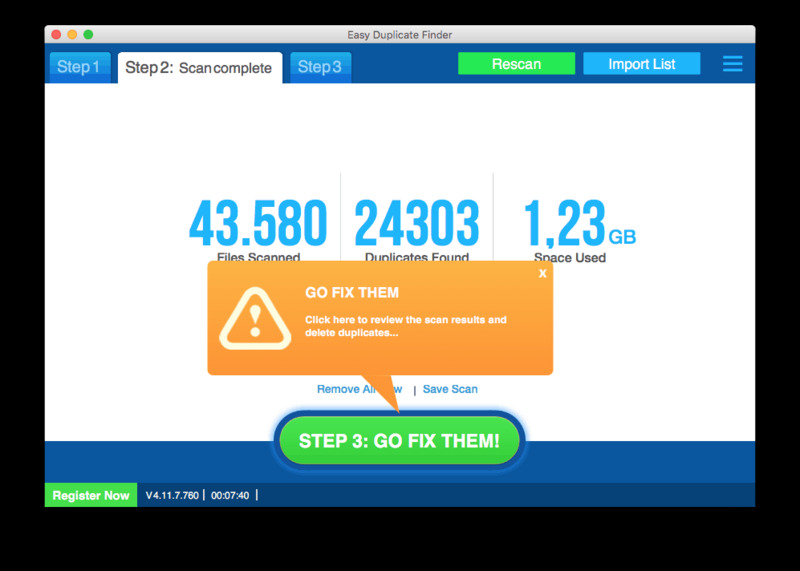 Easy Duplicate Finder is performing really well and has outstanding options. 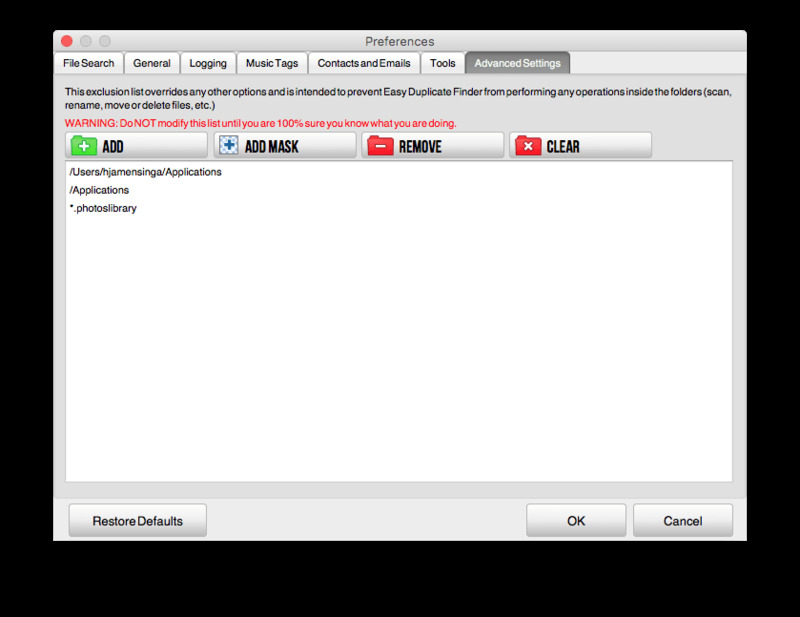 The interface is Mac unlike but typically shows a Windows background. 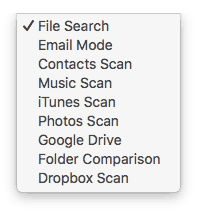 Scan results are par with the best Mac applications available. 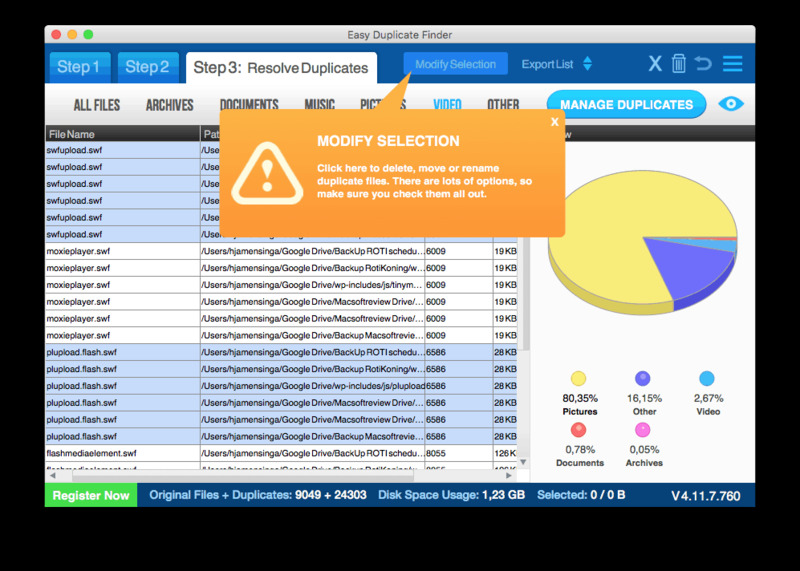 Good speed, good results and great options makes Easy Duplicate Finder a true contender. 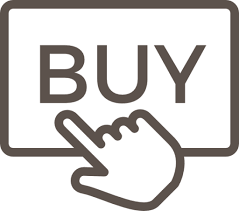 More expensive then its competitors but If you want the best options and settings nothing beats EDF.